by Jane Chuck. : Yonder Music ! Music plays a big part of my life. I’m not sure about you, to me, music is like my Monday morning cup of coffee. I need music to inspire me, to keep me energised. Which is also why I pick my daily music playlist very carefully. You can really tell how I’m feeling by listening to my playlist. Thanks to technology, we can now listen to music using all sorts of music app. Today, I’m going to introduce you to a music app that can change your music experience! Unlike any other music app, Yonder Music is a digital music service that provides users with ad free access to MILLIONS OF SONGS to download, play and share! You must be wondering why. Yonder Music shifts the responsibility for paying digital music from consumers to device manufacturers (who add Yonder Music licenses to their smart devices) and more particularly telcos ( who add Yonder Music licenses to their plans). This increases the market for legal paid music services to user who previously ripped their music. Thanks to Yonder Music. We get to enjoy music with no subscription fees, no download charges & no commercials with unlimited access to millions of tracks! This feature is awesome as I believe some of you have experienced music being interrupted when you are in an area that has poor reception and some other streaming services require you to pay a monthly subscription fee to enjoy make music available offline. There’s Song Steam on Yonder Music Homescreen which acts as the home screen for the user will feed the user with an active list of relevant tracks and playlists based on the user listening behavior and app usage pattern. What you listen, who you follow, what music you’ve favourited will all help to determine the music recommendation that feeds to you via Songstream. 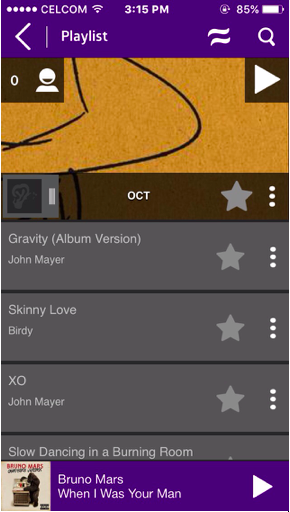 Magic Library by Yonder Music allow users to download tracks as they play along so they can listen anytime anywhere. 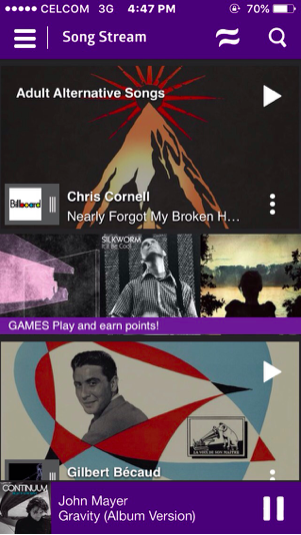 A user can build a Magic Library larger than any other music streaming app in less than 3 hours of continuous play! 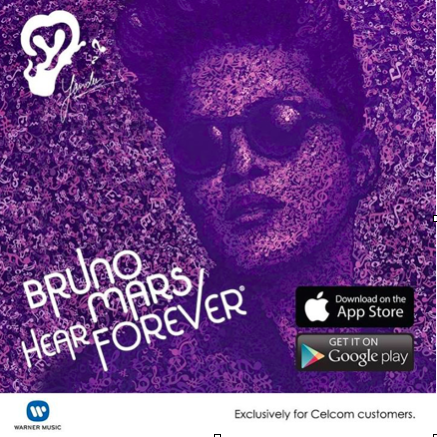 - Create your playlist with at least one Bruno Mars song. - Play it, and share it like crazy, making the top 25 most active users of Yonder Music app! I’ll try my luck now, you should join me too! Music plays a big part IN my life.not of.